Photography is a passion of mine and everywhere I travel I take my Nikon. Photography of ruins has been something of interest to me since first traveling to Europe in the 90′s. There I caught the bug when I photographed castle ruins in Scotland. Now, I always find ruins fascinating. There is something about the duality of the ruins that interest me. The duality being something remains yet something is missing or destroyed. Through photography you can capture both the history of the place and its present condition. In this effort you are preserving a moment in the time of the structure. This past December I traveled to Twin Lakes, Colorado for a ski trip. However, I made time for a side trip after noting a late 1800′s era homestead in ruins near our rental home. Our rental home was located on a hill top in the shadow of Mt. Elbert. The location was perfect for photographing the landscape. It also allowed for some great wild life photography. Just to the east in the Bureau of Land Management (BLM) area, lie the ruins. 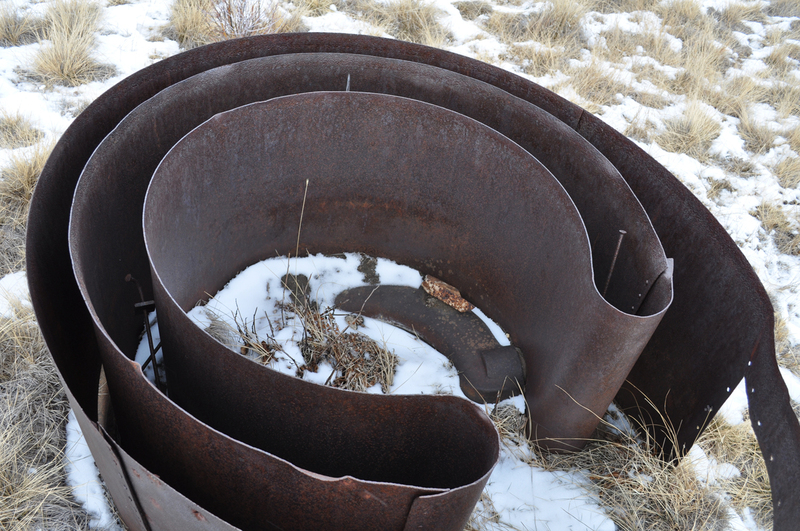 These were the artifacts of a once thriving mining operation. The area I wanted to photograph included a compound. The grouping of buildings included several buildings, barns, and rusted machinery. Just below the compound lie thousands of tons of mine tailings. The tailings were deposited in rows 30 to 40 feet high along a small creek bed. Photography – Shot of mining relic, perhaps a boiler part or some sore of heat sink. On this particular photography trip I came across an automobile relic just outside the main compound. At first look it appears to be a tractor. However, on closer inspection, I found parts that made me believe is was a very old car. Perhaps it was an open buggy. The top body was missing completely. All that remained was the frame and the steering column. 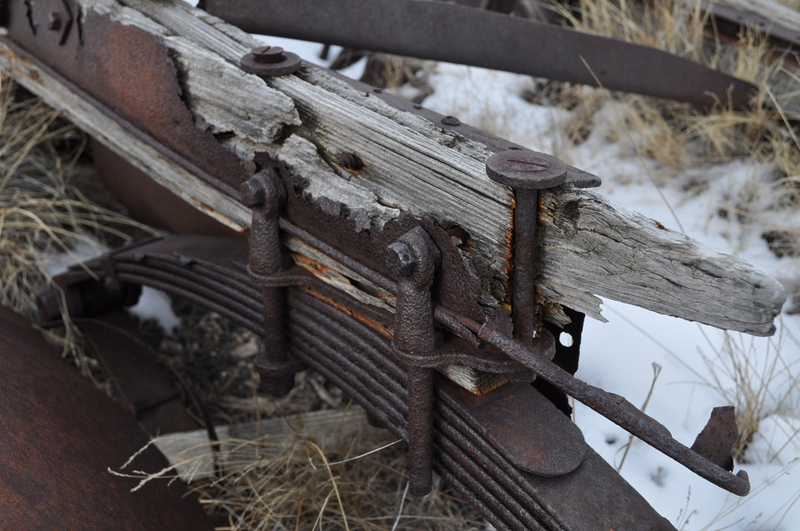 Amazingly some parts of the frame were wood. The wood parts still remained in tact. The arid climate must have something to do with that. Whatever this vehicle was, the photography was certainly interesting. Juxtaposed to the beauty of the surroundings, the images appear almost haunting. Even some would say, they were a little foreboding. To me, these artifacts show that the earth will reclaim its elements. Perhaps one day the earth will heal from everything that we have done to it. If you want to see and photograph these relics yourself, you will need to do some light hiking. The area is strewn with rocks large and small so wear good boots with ankle protection. The location is south of Leadville Colorado in the Twin Lakes area of Lake County, Colorado. Head to County Road 24A. Try these coordinates in Google Maps: 39.123646,-106.344557 ans zoom way in for a surprise. PS. I researched this area of Twin Lakes, Colorado and could find nothing on its history. All we have to go on, is this photography. Please contact me if you know anything about this place or the rusted relics I mentioned. Also if you love Twin Lakes Click on it.